Today I’m excited to start our new sermon series that I have titled “Wesleyan Roots” because we are using John Wesley’s sermons as a guide to the scriptures. John Wesley never left the Church of England but saw the Methodist movement as a reform group within the Church of England. Here’s the way I read the history from that time. The Church of England had gotten kind of high-falutin and snobbish. They were very class oriented and didn’t want the lower classes to be a part of the church. It was pretty much a middle-class-and-up church. Well John Wesley, as well as others like John’s brother Charles Wesley and George Whitfield, couldn’t find in the Bible where the church was only supposed to be for the middle class and up, so they made it their mission to minister to everyone. Well the fine, (self-)uprighteous people of the Church of England didn’t want those dirty, stinky coal miners and their families in their church. Horrors! But the Wesleys and company thought that those people needed to know Jesus and so they did something very controversial at the time: they preached outdoors. They went to where the people were and didn’t wait for the people to come to the church buildings. They would go to the coal mines at the end of a shift find a small hill, and preach the Gospel to the miners, sometimes thousands at at time. John Wesley was very meticulous about keeping written copies of his sermons. He also kept a journal which talked quite a bit about the places where he was run off by an angry crowd or where he was banned from preaching again. He was a prolific preacher and writer. Those who research such things say that he traveled more than 250,000 miles on horseback (not in a car, but on horseback, mind you!) and preached about 40,000 sermons! We have many of those sermons and you can find most of them online for free. So we have three words, but the same concept. Endurance. Perseverance. Patience. Now here’s something I find interesting: the King James Bible uses feminine language to refer to patience. Does that mean women have more patience than men? Hmmmmmm. But that’s another sermon for another time. As I said at the time, the problem with praying to God to give you patience is that instead of patience, he gives you the opportunity to practice it. When we pray, “Dear God, give me patience… and give it to me now,” God’s response might be to allow you to be in situations that give you the opportunity to practice being patient. Well, he has a point. If you think of the times when your patience is tested the most it usually involves a bit of suffering. If you are a Texas Ranger fan you probably experienced this year. I’m not saying the Rangers are bad this year… well, actually I am. I checked last night and the Rangers’ record is 67 wins and 93 losses. They are dead last in the American League West standings. Their fellow Texas team, the Astros, are leading the division with 102 wins and 58 losses. The Rangers are only 35 games back of first place. Ouch. I don’t think they are going to make the playoffs. While we talk about being a Ranger fan and suffering it really isn’t. There is some real suffering in the world. One of the things I see in my line of work that combines patience in suffering are medical patients. Someone will be having problems and go in for a test (or several tests). Then they have to go home and wait several days or even a week or more to find out the results of the tests. Now what’s my kind of patience! So you see patience is kind of a fickle thing. But the think I find most interesting that Wesley does in this sermon on patience is to connect it to sanctifying grace. Now if you remember in Wesleyan theology there are three expressions of God’s grace. It’s not three different types of grace, but one grace in three expressions. The first is “prevenient grace,” or the grace that goes before. This is where God’s grace is working in a person’s life even before he/she is aware of it. It’s sometimes referred to as the “wooing” grace where God “woos” us. So, here’s my summation of that: Patience is a virtue that is required as we seek to become more like Christ, as we grow in our faith, and as we seek to do God’s will on earth as children of God. Patience is an integral part of us maturing in the faith. We get better at having patience by practicing it as we develop our faith, especially during those times when we suffer. When our faith is tested it produces patience. Our goal as Christians is to live like Christ as we fulfill the Great Commission to make disciples of Jesus Christ. Patience is the catalyst that develops us from where we are today to where we will be deeper in the faith and more like Christ in the future. So my challenge to you this week, brought to you by John Wesley and the apostle James, is to look at patience as a way to deepen your faith. Sometimes patience includes suffering, but it also contains joy. The testing of our faith produces patience. And if you want to practice patience by going fishing with me, just let me know. https://www.jacksonvillemethodist.org/wp-content/uploads/2017/08/First-United-Methodist-Church-Jacksonville-TX-Logo.png 0 0 admin https://www.jacksonvillemethodist.org/wp-content/uploads/2017/08/First-United-Methodist-Church-Jacksonville-TX-Logo.png admin2018-09-30 12:09:562018-09-30 12:09:56Wesleyan Roots: "Patience"
Jesus didn’t speak English and didn’t take English classes in school. If he had, however, I have no doubt that his English teachers would have given him high marks for his use of metaphors. Part of the challenge for us to understand this metaphor in our current time is to remember what it meant to the people who heard Jesus speak it in the 1st Century. If we want bread, we just go to the store and buy it. If we are really adventurous we might even make bread ourselves, but we do so with flour and yeast that we get at the store. In the 1st Century it was a much different story. Grain was planted, grown, harvested, and then processed into forms in which it could be eaten. In most cases, it all happened where people lived. There was shipment of grains by ship and donkey and other means but for the most part it was “Farm to Table” well before it was cool. When the grain was ripe it was harvested by hand, tied into “sheaves” (thus the song, “Bringing in the Sheaves”), taken to a nearby threshing floor where it was “threshed” (where the grain was separated from the rest of the plant). It was then “winnowed” where the covering of the grain, called the chaff, is removed from the grain. Remember that 1st Century farmers didn’t have combines. Harvest was labor intensive. Very labor intensive, with almost all of it done by hand. When the grain was ripe it was all hands on deck to harvest it. The longer it stayed in the fields the more grain was lost to animals, weather, and even susceptible to fire. And unlike us today, a crop failure for whatever reason could be catastrophic to the community. Starvation was always around the corner. So when it came harvest time everybody helped out. Everybody worked. Everybody shared in the work of the harvest, and everyone shared in the fruit of the harvest. Now there is a difference between “liking” and “sharing.” Liking something means… well, that you like it. But “sharing” is more. So to paraphrase using my own words, sharing is like a turbo-charged version of liking. So what kinds of things do people share on social media? Well I’m glad you asked. So, what do the top items shared on social media have to do with Jesus words about the harvest being plentiful but the workers are few? I think it has a lot. Somewhere in the history of the last 50 years or so a myth was developed that as Christians we are not to share our faith. The myth says that faith is a personal thing and that we should keep our faith to ourselves, that it would be rude and inconsiderate of us to share our faith with others. I think there were some things that probably contributed to that myth. People standing on street corners telling passersby that they are going to burn in hell if they don’t repent probably contributed to it. Increasing societal emphasis on the individual over the group probably contributed to it as well. Whatever the reason, it happened. Anyone who shared their faith was considered a “religious fanatic” or a “Bible thumper.” It wasn’t “cool” to share one’s faith. But is that the way Christians are supposed to be? This is what is called “The Great Commission.” Go into the world and make disciples. Simple. This is what you are to do. Disciples of Jesus Christ are to make disciples of Jesus Christ. If you ask me, this flies directly in the face of the “don’t share your faith” myth. As followers of Jesus Christ, as disciples, we are called–actually commanded–by Jesus to make disciples. This means sharing our faith, not keeping it to ourselves. Which brings me back to social media. How is it that we are perfectly comfortable sharing so many things on social media and have no problem doing that, but yet are uncomfortable sharing our faith? We will share a photo of the meal we are eating, but won’t share about the bread of life. We will share a great deal with got on some new fixtures for our house, but won’t share the light of the world. We will share photos of fish we catch but don’t want to be fishers of people. We will share an inspirational quote from a movie but won’t share the Word of God. We will share about where we are going and what we are doing on the weekend but won’t share about being in church and worshiping with other believers. We will share our political views but won’t share about the King of Kings and Lord of Lords that surpasses all governments and earthly rulers. The same is true today. People have so many voices screaming at them that they are lost. They are looking for love and often in the wrong places. People are in need of the Good News, and we are called to share the Good News with them. The harvest is plenty but the workers are few. Won’t you be a worker and share the love of Christ? https://www.jacksonvillemethodist.org/wp-content/uploads/2017/08/First-United-Methodist-Church-Jacksonville-TX-Logo.png 0 0 admin https://www.jacksonvillemethodist.org/wp-content/uploads/2017/08/First-United-Methodist-Church-Jacksonville-TX-Logo.png admin2018-09-23 12:02:192018-09-23 12:02:19Faithbook: "Sharing"
I’m excited today because we get to continue our sermon series on Faithbook: Biblical Truths for the Digital Age, by exploring one of my favorite topics: photography. One of the really neat things about Facebook is that you can share photos with family and friends. My brother and his wife were on vacation in Jamaica this past week and he posted some photos that are just stunning. Here’s one of them (show photo). Just look at that beautiful, clear, blue water! Man, I would love to go there… and fish! Now I’ve never been to Jamaica. In fact, I’ve never been anywhere with water that clear and that blue. But I got to experience it on my computer thousands of miles away thanks to my brother posting photos of his trip. I love photos. My maternal grandfather was quite a photographer and I have some of his cameras that were passed down to me. I even studied photography in college at East Texas State University (back when it was called that) and my bachelor’s degree from that institution is actually a double major in photography and journalism. The word “photography” actually means writing with light. In the “old” days, when we had something called “film,” the lens of the camera focused the rays of light onto the film when the shutter was opened. The light striking the film caused a chemical change in the film which became permanent once the film was developed using chemicals. Nowadays our cameras have little electronic sensors that react when light hits them, and onboard computers turn that into a digital image that we can then print out or save electronically. We can even post them to Facebook. And the quality of photographs today is extraordinary! The camera in my phone actually takes higher resolution photos than my Digital SLR camera does. And the phones even have built in software to make the images look even better than real life. So all those selfies you see of women with beautiful, flawless faces are automatically, digitally enhanced, so don’t be jealous if you think they have better skin than you do. I see a lot of theology in photography. Jesus described himself, and his followers, as the light of the world, right? So what if we metaphorically used Jesus as light to create images that reflect the awesomeness and lovingness of God? 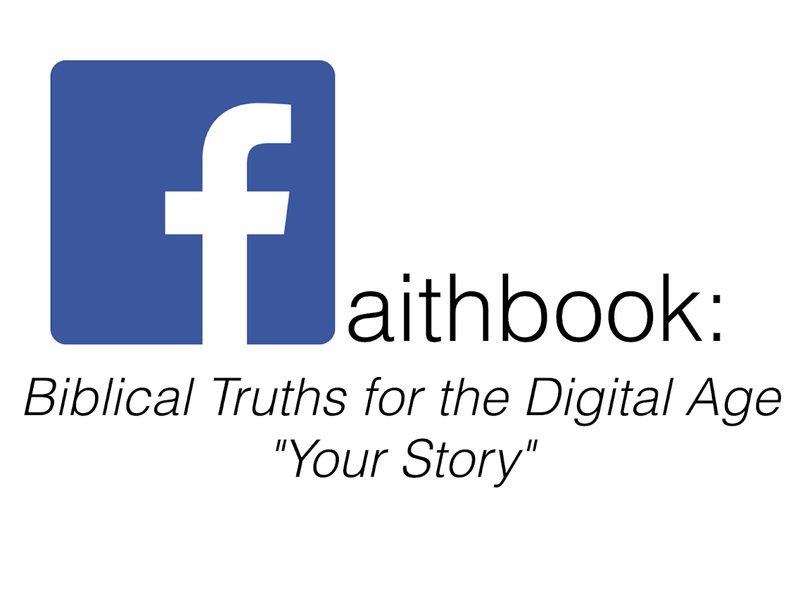 What if share these theological “photos” with the world, showing the way Jesus is working in our lives, and what if we share these the way we share photos on Facebook? Now at first glance the scripture we read today from the Gospel of Luke looks like it has nothing in the world to do with photography. After all, photography wasn’t around in the first century. But I contend we can learn some important things from this scripture when viewed through the lens of photography. In the scripture we find Jesus visiting the house of Mary and Martha. Martha goes about doing all the things that need to be done, probably preparing a meal, cleaning things up, etc. In contrast, Mary sits at Jesus’ feet, listening to him and just being near him. Now Martha gets frustrated with this. There is just so much to do, and she is on her feet trying to get it all done. And there sits her sister Mary, not helping out at all, but instead just listening to Jesus. That’s not right. That’s not fair. Mary should be up working just like Martha, right? Right? And this is where I want to tie in photography with the scripture. Light is composed of photons, tiny energetic little particles that travel around really fast (at the speed of light since they are… well… light…). They bounce off of things and scatter around, kind of like 1st grade students on a playground or Walmart shoppers at a Black Friday sale. Through the incredible divine engineering of the human body we have eyes that use these photons to allow us to see things. And the physics of sight is fascinating to me because when we “see” something what we are actually seeing the photons that have bounced off that object, then those photos are focused by the lenses of our eyes to the retinas which then take the image, convert them to an electrical signal and then sent through the optic nerve to our brains where it is interpreted and our brain tells us what we are looking at. Yeah. I find that fascinating! Okay, there are two things I want us to reflect on theologically with regards to the scripture about Mary and Martha and photography. The first has to do with things being upside down and backwards. When we see something with our eyes the image that is projected on the back of our eyes is upside down and backwards. Yep. Now we don’t “see” things that way because our brains read the signals and in doing so correct for that so that we see things as they should be. But the reality is that the image focused on the retina is, in fact, upside down and backwards. When I was taking photography courses at ETSU we were required to learn how to use large format view cameras. These cameras made incredibly sharp photos because the film was huge. Instead of a little 35mm sized film they used 4×5 inch film, and some of them even used 8×10 inch film. One of the challenges of using this type of camera is that when you focused the image you did so on a piece of frosted glass on the back of the camera. The the image you saw was upside down and backwards. This photo shows you what it looks like. So when taking photos with this type of camera I had to use a dark cloth and compose the photo knowing that the final image would be upside down and backwards from what I was looking at. It took a while to get used to this way of thinking, but after a while it became almost second nature. Theologically speaking, as Christians we are called to remember that the Christian view is upside down and backwards from the worldly view. The world tells us that our self worth is based on popularity or how much money or fancy things that we have. Jesus, however, says that world view is upside down and backwards. Jesus tells us that our self worth should come from the fact that we are children of God, fearfully and wonderfully made, and that God is crazy in love with us, not because of what we have or what we do, but just because he has pure, unconditional love for us. See what I mean? These are all things that are upside down and backwards from a worldly perspective. But the Bible acts as our theological optic nerve and helps us to perceive them as actually being right side up, showing that it is the worldly view, in fact, that is upside down and backwards. With Mary and Martha it was Martha who was perceiving things from a worldly viewpoint, which was upside down and backwards. She was all about getting things ready and cooking and cleaning, thinking that was most important. Yet her sister, Mary, perceived things from a point of view upside down and backwards from that of Martha. She thought the best thing was to sit at Jesus’ feet. That was what was important. Everything else could wait. And Jesus points out that Mary, not Martha, was right. The second thing I want to explore about this topic is focus. In photography focus is an important thing. Focus means that the subject appears sharp and with good detail. Here’s a photo I took where the subject is purposefully out of focus. Doesn’t look too good, does it? There’s term in photography called “selective focus.” It’s when one part of the photo is in focus and the rest of the photo is intentionally out of focus. This is done to place more visual emphasis on the subject. Ironically if you have a modern cell phone you probably have this capability even though you may not know it. It’s called “Portrait Mode.” In the old days we used to accomplish this with a longer focal length lens and by using a larger aperture that resulted in a narrower depth of field. Now you just push a button and it does it digitally. You can even do it with editing software after the photo has been taken. I went out and took some photos that hopefully illustrate this. Here is a photo without selective focus. And here is a photo using selective focus. See the difference? And here is the same photo that I edited with software to through the background even more out of focus. The subject takes more prominence in the photo with selective focus. Mary had selective focus while Martha did not. Martha was focused on the many tasks required of first century living. Jesus was in the picture but was not the center of attention. Martha focused on her worldly tasks as well as Jesus. Mary, on the other hand, focused on Jesus only, intentionally throwing the rest of the world, which was not as important as Jesus, out of focus. As Christians today if we try focusing on everything, the world as well as Jesus, then nothing stands out. Everything is the same. But that’s not what the Bible teaches us. The Bible teaches that we cannot serve the world and Jesus. We must choose, one or the other. And as Christians, followers of Jesus Christ, our focus should be primarily on Jesus. We should choose to selectively and actively focus on Jesus, throwing the rest of the world out of focus as a result. So my challenge to you this week is that whenever you post or see a photograph on Facebook, Instagram, or any other type of photo, remember that as a follower of Christ we are to be upside and backwards from the world. Our life photos should be selectively focused on Jesus, not the rest of the world. We should be more like Mary and less like Martha. We should focus more on sitting at the Master’s feet and learning his ways than getting caught up in the busyness of the world like Martha. https://www.jacksonvillemethodist.org/wp-content/uploads/2017/08/First-United-Methodist-Church-Jacksonville-TX-Logo.png 0 0 admin https://www.jacksonvillemethodist.org/wp-content/uploads/2017/08/First-United-Methodist-Church-Jacksonville-TX-Logo.png admin2018-09-09 11:53:362018-09-09 11:53:36Faithbook: "Photos"
If I speak in the tongues of mortals and of angels, but do not have love, I am a noisy gong or a clanging cymbal. 2 And if I have prophetic powers, and understand all mysteries and all knowledge, and if I have all faith, so as to remove mountains, but do not have love, I am nothing. 3 If I give away all my possessions, and if I hand over my body so that I may boast,[a] but do not have love, I gain nothing. Now if you use Facebook you know that you can send messages to people. There’s even a separate software called “Messenger” that works within Facebook and allows you to send private messages to a particular person or group of people. It’s a great way to communicate. Today we are going to look at “messages” that we send and receive as Christians. One of the things I like to do with our daughters is to “FaceTime” them. This is an instant video communication system where they can use their cell phones to interact with me or Pam through video. There is just something about seeing their face while you are hearing their voice that is better than just talking to them on the phone. Back when I was in college if you would have told me that in my lifetime I would be able to video chat with someone on a small, handheld “phone” I would have laughed at you. I would not have even been able to imagine it. I went to Henderson County Junior College in Athens, TX my first two years of college. I was on a band scholarship playing trombone and all I had to pay for was meals and books. If my mom wanted to call me she had to dial the number of the pay phone, hope that someone was there to answer it, hope that the person understood English enough to understand her (there were a lot of students from the Middle East that attended HCJC at the time), and hope they would be willing to climb the stairs to the second floor and knock on my door to let me know I had a phone call. I could also write her a letter and send it through the mail, and she would get it three days later… Maybe. We have the ability to communicate with others exponentially more now than ever in the history of the world. It really is amazing. And yet with such great ability comes great responsibility. Many people today, especially young folks, have to deal with cyber bullying. Back in my day if we did something foolhardy then word of it might travel by the local grapevine to our parents (which was very effective, by the way). Nowadays if a teenager does something foolhardy there is the possibility that it will be captured through photos or videos from cell phones and then quickly posted on social media sites which make it go “viral,” spreading all over the world electronically. Unfortunately there are many stories of young people (and also adults) choosing to take their life after they are cyber-bullied by having some embarrassing photos, videos, or stories about them posted to the Internet. The Internet and social media make it possible for people to be connected to others in remarkable ways today. Unfortunately it also provides opportunities for people to be extraordinarily mean and cruel to others while hiding behind and electronic cloak of anonymity. As followers of Jesus Christ we are called to live in this world but not be of it. We are called to spread the gospel of love, not hate. The scripture we read today is one of the more “famous” scriptures of the Bible. We use it a lot at weddings and it is known as the “love chapter” of the Bible. Found in the letter Paul wrote to the followers of Christ in Corinth, a coastal city in what is now Greece. It was an important city in regards to trade and the site of many cultures. So what does Paul’s “love chapter” have to do with messages? In my opinion, everything! What if we, as Christians, communicated messages wrapped in love? Even when we have to be corrective or engaged in a controversial subject, what does it look like to communicate messages that are loving? Let’s try something. I’m going to read to you from The Message paraphrase of today’s scripture from 1 Corinthians 13. As I read it, think about how these words could be applied to the messages sent and received on social media. My late mother used to have a saying that she not only espoused but lived by. I am familiar with it because I can’t count the times she said it me when I would start complaining about someone or something. It really is good advice, especially when illuminated in the light of 1 Corinthians 13. In 1 John 4:8 we read that “God is love.” Jesus came to earth and gave his life on the cross because of his great love. And God loves us so much that he allowed his only son to be treated cruelly and then executed like a common criminal without intervening, even though he had the power to do so. That is why we celebrate the Lord’s Supper like we did today. It reminds us of just how much we are loved, regardless of our past, regardless of any of the things that the world says are important like wealth or power or looks or popularity. When we kneel on our knees to receive the bread and the wine we humble ourselves after confessing our sins and acknowledge that we cannot save ourselves. We need a savior. And, thanks be to God, we have one in Jesus Christ. So my challenge to you this week is to wrap all your messages in love. Remember Paul’s words in 1 Corinthians 13 about what love is and what love is not. Even if you have to communicate something uncomfortable or corrective, do so in love. And that’s a lot better than calling your mom collect from a pay phone. https://www.jacksonvillemethodist.org/wp-content/uploads/2017/08/First-United-Methodist-Church-Jacksonville-TX-Logo.png 0 0 admin https://www.jacksonvillemethodist.org/wp-content/uploads/2017/08/First-United-Methodist-Church-Jacksonville-TX-Logo.png admin2018-09-02 11:57:472018-09-02 11:57:47Faithbook: "Messages"
Today is Back to School and Blessing of the Backpacks Sunday. School for Jacksonville ISD starts tomorrow and parents throughout the district will either rejoice or be sad, or more likely a combination of both. Now you may be thinking that the scripture selection for today can’t possibly have anything to do with back to school, and to tell you the truth I had times this past week when I felt the same way. (“Why in the world did I pick this scripture?”) However, let’s keep moving forward and perhaps at the end I can convince you–and myself–that there is a lot we can learn from it that can help us not only if we are a student or a teacher, but also in life. The scripture comes from the Gospel of John. John’s gospel is different from what are called the “synoptic” gospels, Matthew, Mark, and Luke. “Synoptic” from a similar view or perspective, and while there are some differences between them they are very similar. John is different. In the scripture we read today we find John writing about another John, the person we know as John the Baptist. Now some people mistakenly think that John the Baptist wrote the Gospel of John but that is not the case. John the Baptist meets an untimely death at the orders of King Herod. In antiquity there was a belief that the writer of the Gospel of John was also the writer named John who wrote what we refer to as Revelation, but most scholars today believe that the two are separate people. In the scripture we read today from the 3rd chapter of the Gospel of John we find John the Baptist explaining the fact that he is not the messiah. Football season is kicking off. Most of you will know this NFL player. It’s Jacksonville’s own Josh McCown. He has had a long and well-traveled record in the NFL, playing now for his 11th professional team. Last year he started at quarterback for the New York Jets. And he did great. He had 267 completions, a 67.3 completion percentage, 2,926 passing yards, 18 passing touchdowns and 5 rushing touchdowns. And he did all that at 39 years old. I saw an article on him and some of the other quarterbacks on the team were talking about why Josh has not only lasted so long in the NFL but why he is so successful. It seems that Josh is an extremely intelligent player who has used his journeyman status to glean wisdom from every team he has played for. And wherever Josh was, he wasn’t jealous of the starting quarterbacks. In fact, he helped them, sharing his wisdom with them for the benefit of the team. He made himself less so that the starter could be more. He didn’t make it about himself. With school starting one of the things that students will be dealing with, especially at junior high and high school levels, is peer pressure. There are even social groups that develop based on these different classifications. You know what I’m talking about. And even with dress codes it’s pretty easy to tell who belongs to what group just by looking. Our society today tells us that your value is determined by how much the spotlight is on you. As a kid I remember so desperately wanting to be the best in the world at something. I didn’t care what it was, I just wanted to be the best at it. I wanted to be in the Guiness Book of World Records. I wanted the spotlight to be on me. At one time I was hoping to be able to get in there for holding the record for how many quarters I could stack on my elbow, like this [demonstrate], and then catch like this [demonstrate]. I got to where I could do a huge stack but it was still far from the world record. My name never got in the book. Sigh. As I matured physically, emotionally, and most of all spiritually, I could look back and see that my desire for fame was, from a Christian viewpoint, misguided and really kind of a waste of time and energy. One of the things that helped me come to that realization was the scripture we read from John. “He must increase, but I must decrease.” Less of me, more of you. It’s hard to do at any stage of your life, but it’s especially hard when you are in school. So much attention is given to the star athlete, the trumpet player who can hit a “super C,” the dancer who can get the most height on a jump, or the cheerleader who can do the most backflips. We don’t hear about the student who makes a B in English even though that’s not his/her primary language. We don’t hear about the welding student that can lay down a really great, consistent bead. We don’t hear about the junior high student who has a C average that gets his/her younger siblings up each morning, cooks them breakfast, and makes sure they are dressed and ready when the school bus comes. We don’t hear about the second or third-string football lineman who is always sore because during practice he lines up as the opposition against the A team. We don’t hear about the third part trombone player who plays the notes as best as she/he can in order to provide the harmonies that the music requires. John the Baptist insisted he was not a “star.” He knew that his role was to prepare the way for Jesus. And he was okay with that. He wasn’t the lead actor in a play, he was a supporting role. So one point I want to make today for all the students going back to school is to know that it’s okay not to be the star. As a matter of fact, it’s okay to not be the most popular kid in your class, or the star athlete, or the best musician, or other things that you think will put you in the spotlight. Now I’m saying to be okay with mediocrity or that it’s okay if you don’t try your best. No. But I am saying to be happy where you are. Bloom where you are planted. Enjoy the small little moments that happen outside the spotlight. I know it is hard for you to believe (because I found it hard to believe when people told me this when I was your age) but those things that you think are important now really aren’t all that important in the grand scheme of things. Enjoy your time in school, but seek the treasures of heaven not the treasures of earth. And adults, this applies to us as well. That school-time competitiveness puts on some different clothes after you graduate but is alive and well in the business world. If you are stepping on top of people as you climb the corporate ladder then you are seeking earthly treasures, not heavenly ones. Think less of yourself and more of others. Celebrate the person who gets the promotion that you were hoping to get. Work with people instead of against them. Put Jesus as the number one priority in your life and then live in such a way that proves it. On Facebook one of the things a person can do is to “Like” someone’s post or photo. And then those “likes” show us as a little icon. Unfortunately our society places such an emphasis on being liked that there is a temptation–a very real one–to base our self worth on how many “likes” we have on our Facebook page. There are even sites online where you can buy “likes.” Yep. You get 1,000 likes for about $10. Get your credit cards ready. Here’s a question for you: Do you give more “likes” than you receive? Do you “like” the posts of others more than you receive “likes” on your post. In other words, do you focus on others more than on yourself? As followers of Jesus, we should be like Jesus. Jesus put our needs before his own. He willingly went to the cross and endured its pain and humiliation so that all of humanity, each one of us, can be reconciled to God. He did what we cannot do on our own. So my challenge to you this week, and for the entire school year, is to “like” more than you want to be “liked.” Don’t focus so much on having the spotlight shine on you, but be happy for others and share the joy of it shining on them. And if you want me to show you how to do the quarters on you elbow thing, just see me after the service. https://www.jacksonvillemethodist.org/wp-content/uploads/2017/08/First-United-Methodist-Church-Jacksonville-TX-Logo.png 0 0 admin https://www.jacksonvillemethodist.org/wp-content/uploads/2017/08/First-United-Methodist-Church-Jacksonville-TX-Logo.png admin2018-08-26 12:49:142018-08-26 12:49:14Faithbook: "Likes"
“This is my commandment, that you love one another as I have loved you. 13 No one has greater love than this, to lay down one’s life for one’s friends. 14 You are my friends if you do what I command you. 15 I do not call you servants any longer, because the servant does not know what the master is doing; but I have called you friends, because I have made known to you everything that I have heard from my Father. 16 You did not choose me but I chose you. And I appointed you to go and bear fruit, fruit that will last, so that the Father will give you whatever you ask him in my name. 17 I am giving you these commands so that you may love one another. Raise your hand if you have friends. Go on, don’t be shy. Raise them up there. Now leave them up of you have really good friends. I’m talking true, true friends, the kind that you know would do anything for you. Now if you have a spouse hopefully there is a friendship there but it’s a special kind, and not the kind we want to explore today. Today I want us to look at friends, true friends, those that will hold your hair back if your are sick and throwing up, those that know things about you that you don’t share with anyone, those who will tell you if you have something stuck in your teeth or if you’re wearing an outfit that doesn’t match or if your breath stinks. Those kind of friends. A guy named Josh Charles once said, “My dad said to me growing up: ‘When all is said and done, if you can count all your true friends on one hand, you’re a lucky man.’” [hold up hand with fingers out]. I am blessed. Let me tell you about some of those friends.. In 2004 I quit my job, moved our family to Carthage, Tx, and then began seminary at Perkins School of Theology at Southern Methodist University in Dallas. Because of the distance (3 hours one way) driving back and forth daily wasn’t an option. Instead, I paid to stay in what was called the “commuter dorm.” This was a dorm room on campus right next to the seminary. It was a two, one bath dorm room, and four of us “commuters” stayed in it. None of us knew the others until we began classes that August in 2004. We became good friends, though. Not Facebook friends (Facebook didn’t even exist then), but good friends. In early January of 2005, before the semester began, my appendix burst early one morning and Pam drove me to the hospital in Longview where I had emergency surgery, followed by postoperative infections. I was in pretty bad shape and spent 10 days in the hospital. Dylan was in Oklahoma, but Tommy Earl and Wade drove to Longview to see me. There they prayed for me and just spent time with me. One of the things the nurses said I could do to help my condition was to walk. I would get my IV pole, put on another hospital gown backwards over the one I already had on to keep me from mooning people, and then would walk around that floor of the hospital. Tommy Earl and Wade would go with me on my walks. Being good friends, though, they did more than that. One time, right after we had passed the nurses station, Wade said in a loud voice (so the nurses could hear it), “No, Doug, I don’t think it’s a good idea for you to get on the elevator and leave. You’re still pretty sick.” The nurses raised their heads from their paperwork and watched just to see if I was going to make a run for the elevator. And trust me, the shape I was in I wasn’t going to be making a run anywhere. A couple of years later Tommy Earl and I were walking down the hall at the seminary when we saw the Dean of the seminary approaching us in the hallway. Just when he came within hearing distance Tommy Earl said in a voice loud enough for the Dean to hear, “No, Doug, I disagree with you. I think Dean Lawrence is doing a great job!” Ahhhh, such good friends. Seriously, though, the laughter with those friends is what got me through seminary. I often wonder if I would have made it through if I had been put with some of the dry, humorless people I knew from my classes. I’m not sure I would have. They were good friends. And they still are. We are all in different parts of the state (Dylan’s still in Oklahoma) and aren’t close geographically, but we’re still friends. Good friends. It used to be a big deal years ago to see how many friends you had on Facebook. It used to list the number of friends (I don’t think it does anymore) and people would brag about it. “I have over 500 friends!” I always wanted to tell them, “Well, first of all, the term “over” is a preposition that indicates spatial relationships so the term you should have used is “more than” which indicates numerical value. And second, how many are those ‘friends’ are people that you don’t know and that you have never met? Just because someone accepts your friend request on Facebook doesn’t mean that you are truly friends.” That’s what a true friend would have told them. But I usually just kept my mouth shut. I saw a saying that said, “True friendship is walking into a person’s house and our wifi connects automatically.” While humorous, that is a rather limiting definition of friendship. Friends, true friends, are almost a spiritual relationship, aren’t they? True friends laugh together, cry together, share struggles, and have connections that are difficult to explain. In the scripture we read today from the Gospel of John, we find Jesus talking to his disciples. He is teaching them things that will be important once he is gone, kind of a final words of encouragement. Jesus knows that he will be arrested and crucified and he is trying to prepare the disciples for what is going to happen. One of the things he tells them is that he considers them to be his friends. Theologically speaking, this is profound. This is big time. Unfortunately our language has watered-down the word “friend” so that it doesn’t carry as much meaning as it should. We think of Jesus being our friend in this way. [Show Jesus action figure giving a thumbs up sign and a wink.] This figure is from the film “Dogma” in which the figure of Jesus on the cross is considered to “depressing” and so the church comes up with “Buddy Christ” which is more uplifting and positive. Now there are a lot of people who prefer “Buddy Christ” over the real Jesus Christ. “Buddy Christ” isn’t judgmental, looks the other way with regard to sin, and pretty much lets you do whatever you want without having to feel guilty about it. He’s your friend, your buddy. He just wants you to be happy. But is that really who Jesus is? Is that a Biblical truth of who Jesus is? The great commandment Jesus gives is to love. In the first verse we read today Jesus “commands” the disciples to love each other the way Jesus loved them. In the Great Commandment he tells them to love God with all that you are, and love others with all that you are. You are my friends when you love. We are friends with Jesus when we follow God’s will. We are friends with Jesus when we love, truly unconditionally love. There is a contemporary Christian song that has been around a few years titled “Friend of God.” It was written by Israel Houghton and Michael Gungor and performed by Israel Houghton and even Phillips, Craig and Dean. I remember when I first heard it I thought it was way off theologically. After all, I don’t want God or Jesus to be my friend. I want God to be my savior, my creator, the divine entity that is omniscient, omnipotent, powerful enough to create miracles or smite down those who get too far out of line. But then I started listening to the lyrics. That was the part that I missed that caused me not to like the song. Jesus tells the disciples that when they love one another they are no longer servants, but friends. There is no longer a master/servant hierarchy, but a more intimate one. Bring a friend to Christ. Let’s look at that closer. First, make a friend. When I was young I was shy. It’s true. I would get extremely anxious about calling someone on the telephone that I didn’t know. The thing that helped me out of that shyness was becoming a newspaper reporter. That forced me to start conversations with people I didn’t know. It was brutal for me for a while, but eventually I got over being shy. Now I have no problem walking up and talking to people I have never met. The best way to make friends is to talk to people you have never met. And when I say “talk” I really mean “listen.” Talk some, but mainly listen. Truly listen to the person, try to remember their name, what they tell you about themselves. Make it be more about them than yourself. Now if you just sit back and passively wait for people to make friends with you instead of you taking the initiative of making friends of others, eventually you might make some friends. But not nearly as many as you would if you are the one initiating it. Make a friend. And not just with people who look like you, who are in your social strata, who are your age. Leave your comfort zone and explore for friends. Walk up to a complete stranger and start a conversation. It really isn’t that difficult. Second, be a friend. Be there for others. Care, truly care, about them. Check on them. Help them when they need it. Love them the way Christ loves us, the way Jesus tells us to love. And then third, bring a friend to Christ. Notice that it doesn’t say “let them come to Christ on their own.” It says “bring” a friend to Christ. Statistics show that most people visit a church for the first time because they were invited by a friend. Be that friend. Bring a friend to Christ. Now it won’t be easy, and it may be more difficult for some of us than others. But following Christ isn’t about being comfortable, it’s about being faithful and loving God with all that we have and loving others. Take that step of faith and make a friend this week. Then be a friend to that person, a true friend, not a Facebook friend. And then, when the time is right, bring that friend to Christ. https://www.jacksonvillemethodist.org/wp-content/uploads/2017/08/First-United-Methodist-Church-Jacksonville-TX-Logo.png 0 0 admin https://www.jacksonvillemethodist.org/wp-content/uploads/2017/08/First-United-Methodist-Church-Jacksonville-TX-Logo.png admin2018-08-19 12:09:332018-08-19 12:09:33Faithbook: Biblical Truths for the Digital Age, "Friends"
Therefore, knowing the fear of the Lord, we try to persuade others; but we ourselves are well known to God, and I hope that we are also well known to your consciences. 12 We are not commending ourselves to you again, but giving you an opportunity to boast about us, so that you may be able to answer those who boast in outward appearance and not in the heart. 13 For if we are beside ourselves, it is for God; if we are in our right mind, it is for you. 14 For the love of Christ urges us on, because we are convinced that one has died for all; therefore all have died. 15 And he died for all, so that those who live might live no longer for themselves, but for him who died and was raised for them. On Facebook there is a section called “Your Story.” It is a way to share “your story” visually with all your “friends” on Facebook or only selected friends. And after 24 hours it disappears. Now I do Facebook, but I don’t do Facebook Stories. I just don’t have the desire to post something that will disappear in 24 hours. I just don’t see the point. But apparently people do. They have some unique camera filters that you can apply to your photos and I see some of them on Facebook, but I don’t go back and check in 24 hours to see if they’re gone. The idea is to tell people about you, about your life, about what’s happening in your life. Even if you don’t do the “Stories” section, what you post on Facebook tells a story about your life. And it can be good, or… well, you know. As Christians we have a story to tell as well. We each have a faith story. Sometimes we tell our faith story. Sometimes we think that we don’t, and sometimes that is true. But sometimes by not telling our faith story we are actually telling, ironically, a faith story, and not a good one. Back in August of 2000, which would be 18 years ago, I attended a spiritual retreat called “Walk to Emmaus.” It was a three day retreat that had a profound effect on my spiritual journey. During that weekend I heard some people tell some incredible faith stories. I heard a man tell his faith story on how he had overcome an addiction to drugs through the power of Jesus and the Holy Spirit. I heard another man tell his faith story of how he treated his wife badly, having affairs with other women and not feeling guilty about it, and then after experiencing Jesus he turned his life around and now has a strong and loving relationship with his wife. I heard a man tell his faith story about overcoming an addiction to alcohol that cost him his family, his career, and money, and yet through a renewed faith in Jesus Christ he turned it all around and was now sober, employed, and repairing family relationships that had almost been destroyed. I remember thinking that I must be missing something in my life. I didn’t have any of those kinds of dramatic faith stories. I grew up in the church. I have never been addicted to drugs or alcohol. I have been faithful to Pam. I thought I didn’t have a faith story. But I was wrong. I have a faith story. You have a faith story. Everyone has a faith story. And those stories are important to tell. None are more important than others, and no two are exactly alike. In the scripture we read today from the 5th chapter of 2 Corinthians we find Paul continuing where we left off last week. In the scripture today, however, he is talking about faith stories and how important they are. How do we as humans persuade others? We tell them our stories. We have an essential oil diffuser in our bedroom that we use every night. Why? Because we had several people tell us their stories with essential oils. Their stories persuaded us so much that we bought a diffuser and some oils and tried it out. When I go to buy something I look it up in Consumer Reports or on the Internet and read what people say about the product. I want to hear reviews, I want to hear their stories. Do they regret buying the product? Has it worked as advertised? How durable is it? I want to hear their stories, and based on what they say, I make a decision to either purchase or pass on a particular item. At the time Paul wrote 2 Corinthians the new Christian movement was growing. It was growing because people were telling their faith stories. Paul himself had an incredible faith story as he went from someone so against the people of “The Way” that he persecuted them and even tacitly approved of killing them, to one of the great leaders of the church, suffering greatly along the way for this faith. So Paul knew the importance of stories, especially the story of Jesus. Each one of us as followers of Jesus need to be able to tell the story of Jesus. And we need to be able to tell the story of how we became a follower of Jesus. Now if you’re not familiar with that term it actually comes from the business world. If someone in the business world asks you who you are and what you do, you should be able to answer them in the time it takes to take an elevator from one floor to another. It’s about a two minute time period. Professionals say that you need to develop and practice your “elevator speech” so that when someone asks you who your are and/or what you do, you can tell them accurately and concisely. The authors of the book say that we as Christians should have an “elevator speech” to be able to tell people why we are a Christian and why we attend the church that we do. But that wouldn’t be very effective, now would it? What I call “Jesus as fire insurance” doesn’t communicate the most important thing, and that is love. After all, God is love. But if within the span of two minutes I can tell someone the difference Jesus makes in my life and why an integral part of my faith life is to worship at Jacksonville First United Methodist Church, then I will come a lot closer to fulfilling the great commission to make disciples of Jesus Christ. Hi, I’m Doug Wintermute. I’m a pastor at Jacksonville First United Methodist Church but I didn’t always want to be a pastor. As a matter of fact, I ran away from it for about 20 years. I even tried to be an atheist once after I got mad at God when one of my childhood friends committed suicide in his early 20s. But I wasn’t very good at being an athiest and I finally realized that I could be angry with God and still believe in God. God was patient with me though and after some bad experiences at one church in particular (not from the pastor, but from the congregation members) we started going to church again. My wife got me to listening to Contemporary Christian music. I bought a study Bible and started attending a lunch time Bible study. I got involved with the music program at the church and helped start a contemporary service. I went on a Walk to Emmaus which really changed my life. God really got ahold of me. I became a lay speaker and kept feeling the call to become a pastor. I visited with several pastors and then began the exploration process to confirm my call. But most of all I changed. I went from being a part-time Christian to a full-time one. And it made all the difference in every area of my life. Then 20 years after graduating from college I enrolled in seminary and became a student pastor. I’ve been a pastor now for 14 years and absolutely love my job and the church I serve. Come see us on Sunday and I’ll meet you at the church. It’s on the loop in Jacksonville. You can’t miss it. Be there by 9 and I’ll treat you to donuts and coffee. Okay, see? Not very long, hits the important parts, and ends with an invitation. My elevator speech. What’s your story? How is your life different since you came to know Jesus Christ as your savior? Or is it different? What can people boast about you? Would they boast of your “outward appearance,” the worldly ways that you live? Or would they boast of your “heart,” your faith and devotion to your savior? What is your story? What story does your life and the way you live it tell others? One more point: make sure your story points to Jesus, not yourself. In the Facebook world it’s easy to make it all about you. And many people do just that. But as a follower of Christ it should be about Jesus, not about us. We are not to live for ourselves, but for Jesus. Jesus Christ, being fully human and fully God, died so that our sins may be forgiven. That’s how much he loves you. So my challenge to you this week is to make sure you have your “elevator story” ready to tell. Sit down and write it our or just practice it in front of the mirror. And remember that it’s not too late to add to your story. Draw closer to God and he will draw closer to you. Read the Bible. Attend one of the Bible studies we will be starting this fall. Pray more. Volunteer. Tithe. You get the idea. And when the opportunity comes for you to give your elevator speech, I hope you are going up, not down. https://www.jacksonvillemethodist.org/wp-content/uploads/2017/08/First-United-Methodist-Church-Jacksonville-TX-Logo.png 0 0 admin https://www.jacksonvillemethodist.org/wp-content/uploads/2017/08/First-United-Methodist-Church-Jacksonville-TX-Logo.png admin2018-08-12 12:58:342018-08-12 12:58:34Faithbook -- Biblical Truths for the Digital Age: "Your Story"
For we know that if the earthly tent we live in is destroyed, we have a building from God, a house not made with hands, eternal in the heavens. 2 For in this tent we groan, longing to be clothed with our heavenly dwelling— 3 if indeed, when we have taken it off we will not be found naked. 4 For while we are still in this tent, we groan under our burden, because we wish not to be unclothed but to be further clothed, so that what is mortal may be swallowed up by life. 5 He who has prepared us for this very thing is God, who has given us the Spirit as a guarantee. If you are not familiar with Facebook there is a little icon that looks like a house that is used to tell people where your “home” is, where you live. And on the Internet the first, initial page that comes up is called the “home” page. Let me make a confession to you: I am a homebody. I like being at home unless I’m out fishing. And even if I’m out fishing I don’t want to spend the night away; I want to be home each night. Homes are associated with comfort, safety and security. It’s where we raise our families, where we can be ourselves, where we sleep, cook and eat meals, and bathe (at least I hope you bathe). Homes are shelter from the elements, places that are cool during the heat of summer, warm during the coldness of weather, dry places when it rains, and shade when the sun shines. Homes are more than buildings or structures. There is an emotional component to home that goes beyond the structure of a house. The value and perception of a place being “home” is not directly tied to the quality of a structure. You can have a small, run-down house and feel more at home than a huge, massive mansion. I’ve heard people tell of living in houses where you could see daylight through the cracks in walls or see the stars at night through holes in the roof, houses that were hot in summer, cold in winter, wet inside when it rained, and that had all kinds of critters living under them. And yet to the people who lived in such a house, it was home. In the scripture we read today we find the apostle Paul writing to the church in Corinth and giving them some Biblical truths about homes. He refers to our bodies as “tents” and heaven as buildings that God has prepared for us. How many of you have ever been tent camping? Believe it or not back when Pam and I first married we did quite a bit of tent camping. We were young and fit and would load up a cabin tent and my canoe and head out somewhere (usually a state park) to camp. We went through several tents. Before I met Pam I had a small, cheap pup tent that I used. It was small and light and great for sleeping in but that was pretty much it. After we got married we tried one of those dome tents but with all the fiberglass poles and things it was hard to put up and once we did get it up you still couldn’t stand up in it. Finally we bought an old fashioned canvas tent which was big and bulky but provided a lot of room. We still have that tent, ironically, but I’m pretty sure that if we were to try and set it up it would probably just fall apart. Tents don’t last as long as buildings do. Tents are temporary. Buildings are permanent. In the scripture we read today Paul is telling us that our earthly bodies, our human lives, are tents, but that what waits for those who are followers of Jesus Christ are buildings. Jesus was telling his disciples about his upcoming death and also his upcoming resurrection. And he was dropping some serious hints that because he was going to overcome death, that we as his followers can do the same. As humans we don’t like to think about death. Us preachers don’t like to preach on death, which is ironic since we do preach funerals. I think part of it is societal. We kind of put death way back at the back of our minds as something we will think about later. We procrastinate the subject out of our consciousness because we think we have bigger, better, and more important things to focus on. Out of sight, out of mind. And yet… None of us get out of this life alive. Just because it is uncomfortable and we don’t like to talk about it doesn’t mean that it will just go away. Pam and I are both fans of sci-fi books and movies. A subject that sometimes comes up in futuristic sci-fi stories is the topic of eternal life. If a medicine or technology was developed that stopped the aging process and made it possible for you to live forever, would you? Would you want to live forever? I don’t think I would want to live forever, even if it was scientifically possible. Ecclesiastes talks about everything having a season, and I think life has seasons as well. And for those of us who are followers of Jesus Christ we know that something better is coming. We know that when our earthly tents wear out that there is a mansion waiting for us in glory. Calvin Howell sang an old song earlier in this service titled, “This World Is Not My Home.” Most people from the time remember it being sung by Country Music legend Jim Reeves, but he didn’t write the song. His wife, Mary, did. So does the promise of heaven mean that we can just take it easy in this life until that day comes when we trade in our tents for mansions? No, of course not. I think Paul’s scripture is to written to give us hope during the tough times. Sometimes death comes suddenly to the young and middle-aged. Sometimes it comes slowly through cancer or other diseases. Sometimes the body continues to live while the mind deteriorates. What ever tough times we face in our lives we can find comfort and, more importantly, hope, in the Bible’s promises that we have a home waiting for us. Whatever troubles we face in this world, it’s good to remember that we’re only passing through. This world is not our home. We celebrate the Lord’s Supper to remember the sacrifice Jesus Christ made for all of humanity. He went to the cross to remove the power death has over us, to bridge the chasm between humans and God, and to give us grace we could never earn on our own. While Jesus may not have had an earthly home, he does have a heavenly one. And the Biblical truth is that so do we. So my challenge for you this week is to remember that this world is not our home, that we’re only passing through. Our true home, which is so wonderful it exceeds our minds’ ability to comprehend, is in heaven. And because of that we can live our lives fearlessly, knowing that whatever hardships we face that they are only temporary. We should live our lives to the fullest, take risks to love deeply, and boldly live out our faith every single day of our lives. https://www.jacksonvillemethodist.org/wp-content/uploads/2017/08/First-United-Methodist-Church-Jacksonville-TX-Logo.png 0 0 admin https://www.jacksonvillemethodist.org/wp-content/uploads/2017/08/First-United-Methodist-Church-Jacksonville-TX-Logo.png admin2018-08-05 11:56:202018-08-05 11:56:20Faithbook -- Biblical Truths for the Digital Age: "Home"